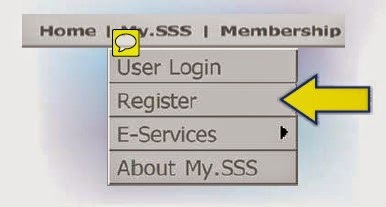 10 Steps on How To Register at My.SSS Online - Old Guide - Exam News, Reviewer, Military Career, & Everything [MN] . . 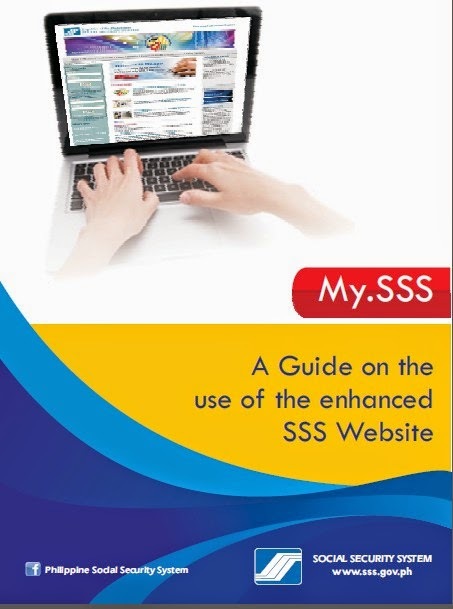 The My.SSS is an online service portal of the enhanced SSS Website that allows SSS members and employers exclusive access to their social security records and to submit transactions online. 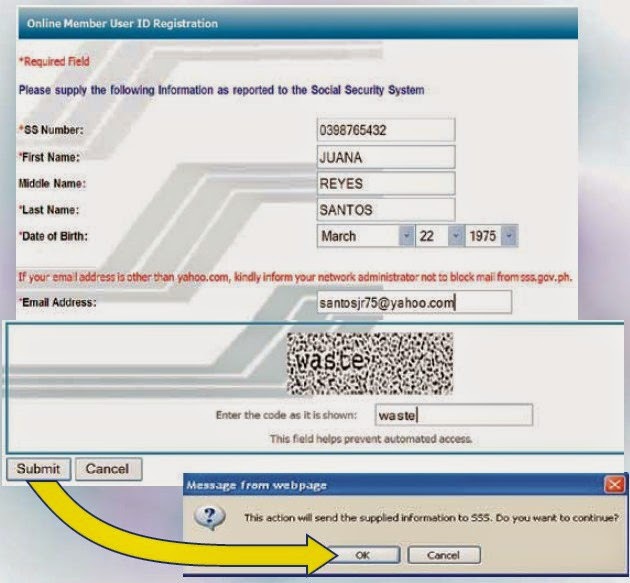 To ensure information security and to prevent identity theft SSS, employed members who have been reported by an employer for coverage to the SSS and individual members such as self-employed, voluntary, overseas Filipino worker (OFW), including non-working spouse who has at least one (1) month posted contribution are required to register at My.SSS before they can start checking contributions online. 2. Click on Register tab or go to My.SSS then, click Register menu. 4. Select appropriate type of user. 6. Submit the page and wait for the email-reply from SSS. 8. 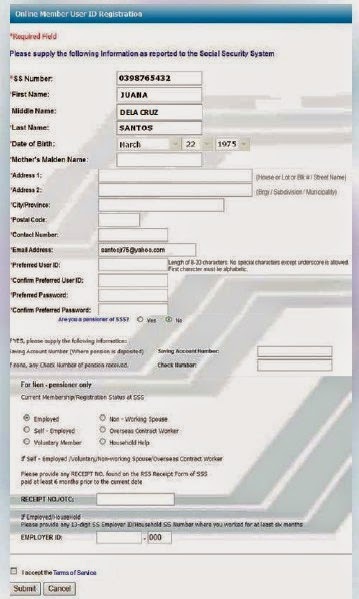 Supply all the required information in the Online Member User ID Registration. 9. Put check, I accept Terms of Service then, click Submit button. 10. 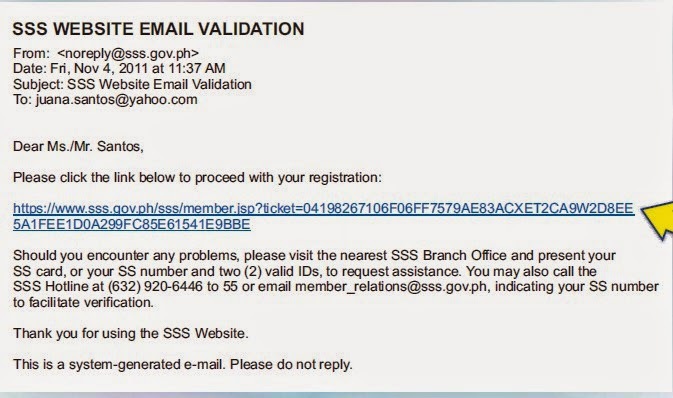 Wait for the email from SSS regarding the outcome of the registration. Note: MagmaNews is not connected nor its author employed with SSS.